Mass grave found in southern Peru Jump to media player Forensic investigations get underway in Peru after a mass grave containing at least 48 bodies is found in Chungui in the south of the country. 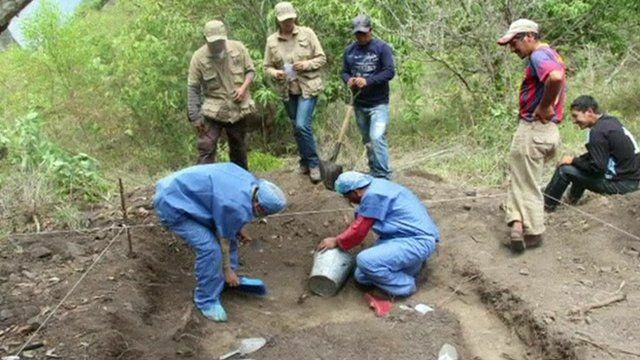 Forensic investigations are underway in Peru after a mass grave containing at least 48 bodies was found in Chungui, in the south of the country. The area saw some of the bloodiest combat in the decades long civil war between government forces and left wing rebel fighters. Amongst the bodies found are those of women and children.